Especially on a cold, drizzly day, there’s nothing like escaping to a cultural universe by stepping into a cozy museum filled with beautifully-lit treasures, artworks, and discoveries. 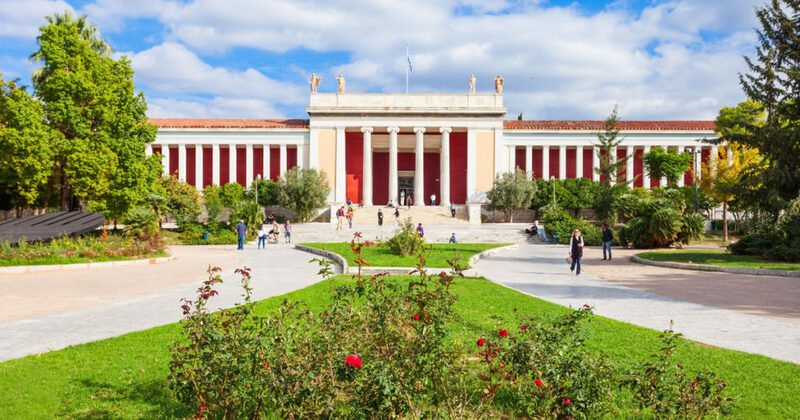 And after an hour or so of rewiring your brain with the sight of cultural gems, nothing beats a good cup of coffee, a hot chocolate or a freshly made sandwich to refuel you – so blessed be Athens’ museums with great cafes! Thankfully there is no entry fee for visiting the cafe alone, so if you’re not in the mood for an exhibition you can simply pop in anyway to retreat from the hustle and bustle of the city in a culturally buzzy space. 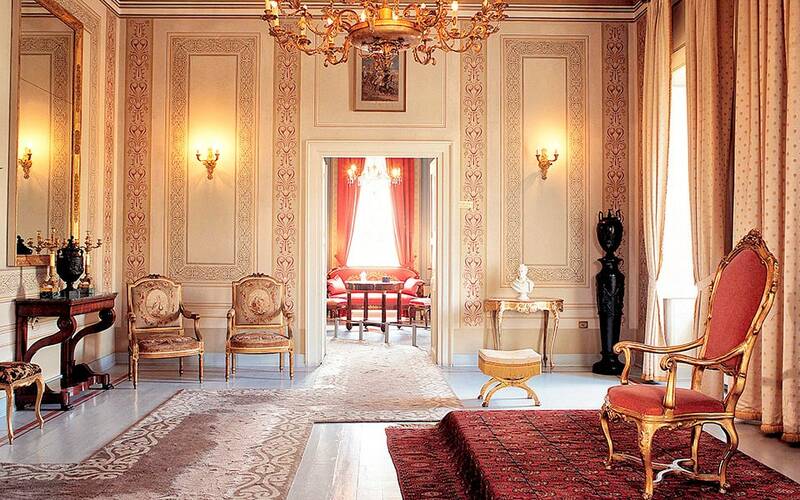 Set up in a neoclassical mansion, the museum is artfully dedicated to the history of coins. 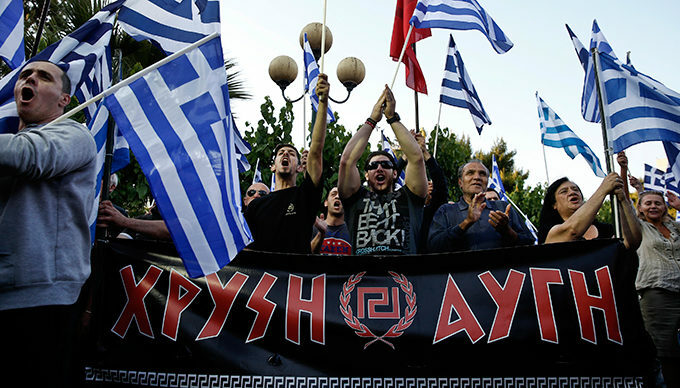 Regardless whether you are fascinated by money or not, the exhibition itself is enticing enough for indicating the alterations in shape, texture, materials and above all symbols and portraits that tell so much about the evolution of Greek and global culture and history. 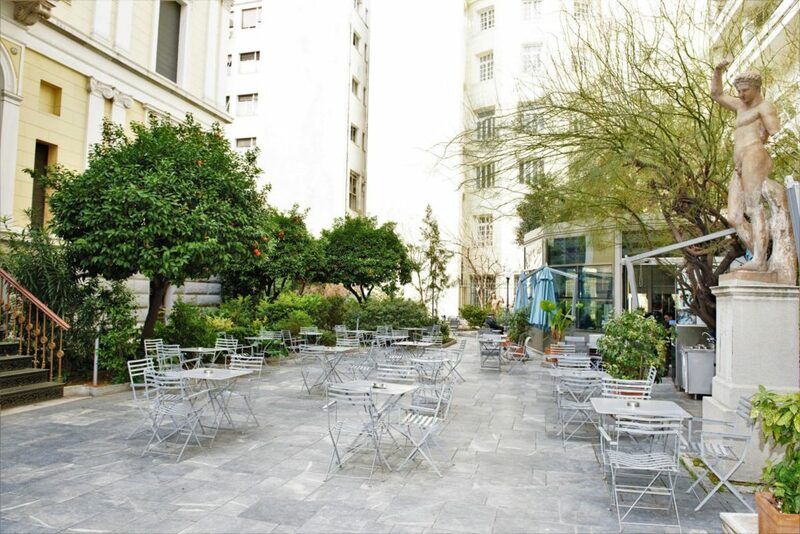 The museum’s cafe is especially enjoyable on a mild if not sunny day – which thankfully one can enjoy any time of the year in Athens. You’ll sit surrounded by trees, manicured bushes, and other greenery and admire statues. On some days the museum organises live music performances too. Standing right next door to the War Museum, this museum welcomes you in firstly with its lovely circular, open courtyard, with the Ilissia cafe located to the right-hand side. 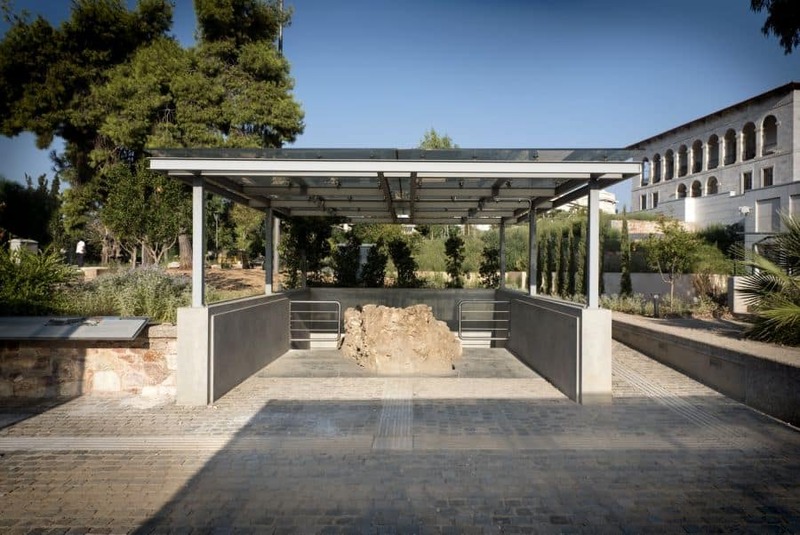 The museum, currently presenting the impressive digital exhibition The Tomb of Christ (until January 31st) exhibits artefacts that depict the glories of the Christian and Byzantine legacy from antiquity in the form of sculptures, paintings, artefacts, textiles and more. During winter the cafe is like a cozy little bistro, serving light lunches, desserts, and drinks in a warm environment, while in summer tables are sprawled out in the courtyard and music performances also take place. 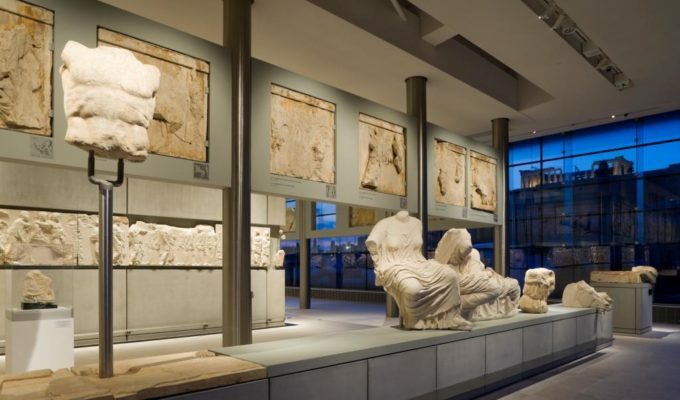 There’s no real need to explain why it’s worth visiting the Acropolis Museum, where one can soak up the timeless beauty of statues and artefacts from Mycenaean to the early Christian and Roman periods. 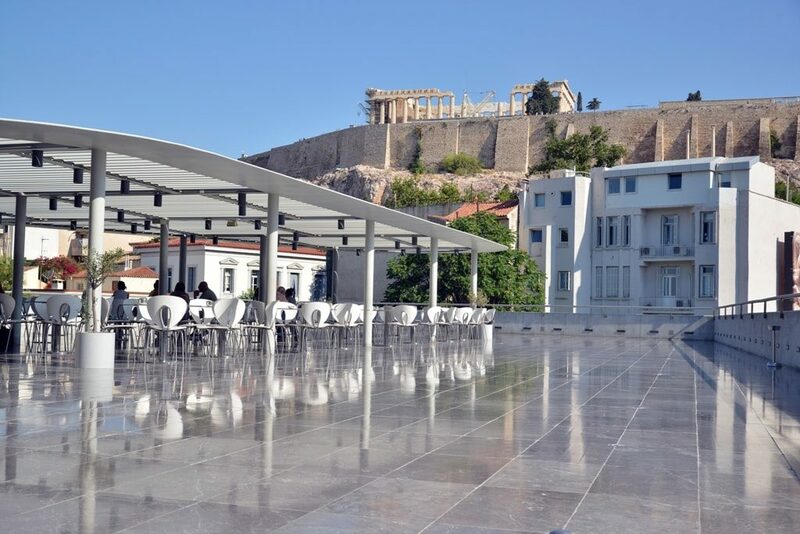 When visiting the cafe-restaurant, the ideal is to do so when you can sit out on the sprawling terrace, which is located right under the Acropolis, rather than the interior adjunct, which feels a bit like an elegant bus station restaurant. The views and flavours here are in perfect harmony, as the museum’s menu is creative, refreshing and based on quality ingredients from around Greece. There is also a kid’s menu to please the poor little souls you’ve been dragging around exhibits (there is also a ‘treasure hunt kit’ made for kids that you can purchase at the ticket desk). On Friday evenings the museum restaurant remains open until late and sometimes hosts live jazz sets. 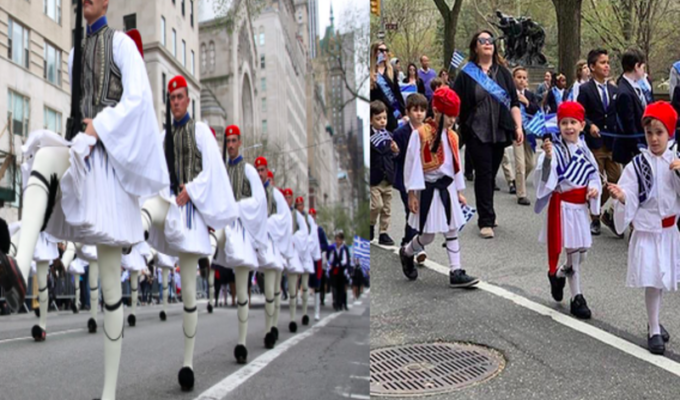 The two-story building from 1836 transports the visitor to 19th Century Athens via exhibits collected by the Vouros-Eftaxias family. 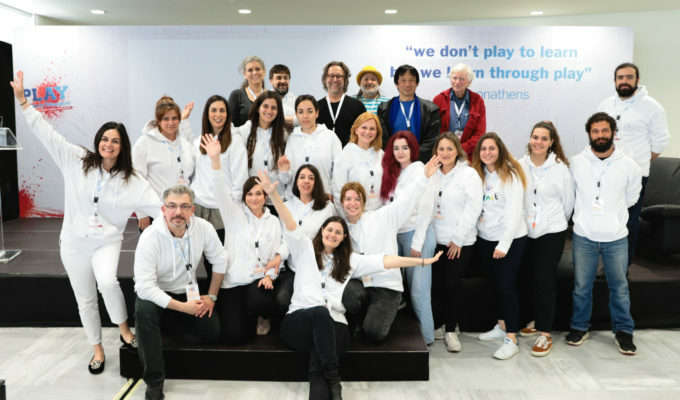 From furnishings and musical instruments to fabrics and decorative items, as well as ancient and Byzantine artefacts, the museum also holds talks on the history and culture of Athens and educational programmes for schools. In its back garden, you’ll find the picturesque Black Duck Garden, which is open throughout the day starting with tea and breakfast pastries to brunch and lunch to dinner and cocktails. The setting and decor, with sculptures and plants, in this pretty patio makes for a perfect setting for both a romantic date and a tranquil business lunch. With over 11,000 exhibits from prehistory to Late Antiquity to see, you’ll definitely need to pause over a hot cup of java at some point. 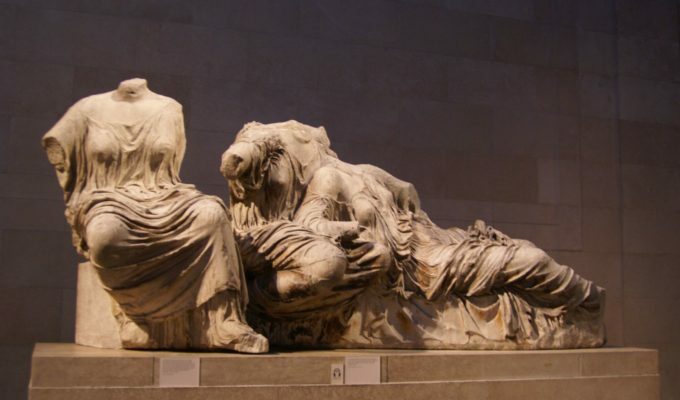 This is Greece’s largest museum, and at a quick pace takes three hours to tour as you get to see treasures such as the Antikythera Mechanism, larger than life statues of Zeus and Poseidon, the Horse and Jockey or the Mask of Agamemonon as well as temporary exhibitions such as the Countless Aspects of Beauty and Roman sculptures. 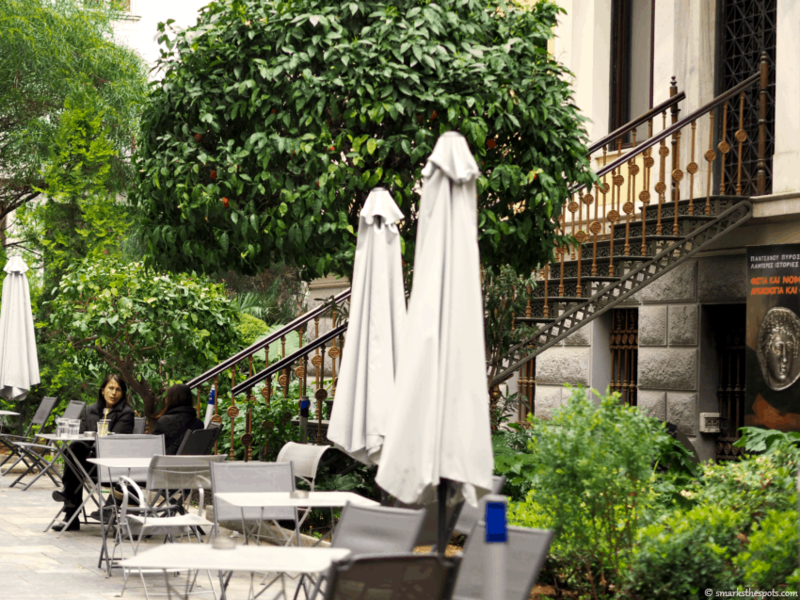 There are two cafes – the one inside is large, pleasant and cozy but a little hotel-like, but the outdoor garden cafe, which was renovated only a few years ago, is verdant and decorated with beautiful statues. You can order a variety of teas, coffees, and cakes as well as light meals such as sandwiches and salads.